In the past when arranged marriages were the norm, ‘gate crashing’ in a Chinese wedding was held to bridge communication between the couple’s relatives and friends. The ceremony comprises tasks set by the bride’s side which must be carried out by the groom and his best men before he is allowed to ‘fetch’ his bride. These tasks are to be fulfilled to the satisfaction of the bride’s friends and/or relatives. It is a form of a test to determine the groom’s resilience in overcoming challenges before the ‘gates’ could be opened for him to ‘claim’ his bride. This customary gate crashing in Chinese weddings is still practised today, sometimes with games thrown in for a light-hearted mood in the event. 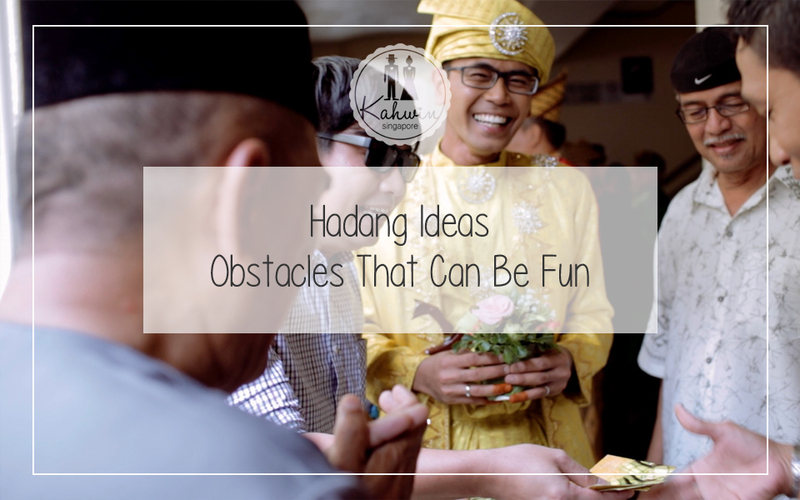 Such practice is similar to hadang in Malay weddings, that literally means block or create obstacles. Why make it easy for a man to claim his wife, right? Why not haggle him and his entourage with a string of tasks before he is allowed to be with his new bride? While some may find it annoying to overcome obstacle after obstacle, the whole idea is to create fun and light-heartedness during the wedding event. Besides, this is the time when the bride’s friends and relatives can exercise their creative prowess while the groom’s side show off their talents in meeting the hadang demands. Hadang is usually not a one-obstacle affair. 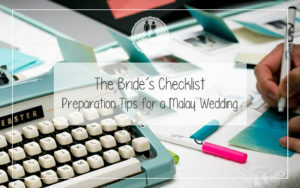 As the idea is to make the whole process as difficult as possible for the groom and his entourage, usually several stages of tasks are laid out by the bride’s side. The more obstacles there are, the more money might need to be allocated as different stages of the hadang practice requires not only completion of tasks but possibly monetary compensation for those involved. Thus, I would say that packets of five or ten dollars should be prepared with colour- coded envelope perhaps, for easy identification on the amounts contained inside. 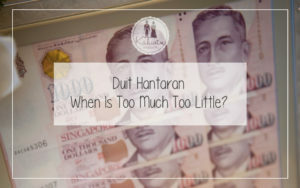 This is of course entirely my opinion but putting a low amount might invite ire from the bride’s friends or relatives who would have racked their brains to come up with the hadang tasks. Imagine getting just $2 after all the effort put in? Hardly worth the effort on the bride’s side! I know of a wedding some time back where coins placed in neat pouches were used instead of dollar notes in the hadang process. I imagine that if each pouch were to contain five one-dollar coins, then people might be happy. That was not the case though. Few pieces of 10-cent and 20-cent coins were placed with even 5-cent coins chucked into each pouch. Gasp! So please include this into your wedding budget. The hadang process can certainly be divided into few obstacle stages with some weddings even having up to five. Each stage would include tasks, the fulfilment of which presents as a ticket to proceed to the next. Whatever number of hadang stages you choose to have, this is the time to get friends and relatives involved. You don’t want the groom and his entourage to be put off by what could be a fun and entertaining part of your wedding reception. So you might want to make the first stage of the hadang process ‘harmless’. Here, you can show off the cute ‘arsenal’ of children made up of your relatives’ or friends’ offspring. But I would suggest that you choose those cheeky kids who have the gift of the gap and not get choked up in front of a crowd. The reason is you want them to clearly articulate the demands to the groom and his entourage. As children are involved, you would also want them to present simple demands such as just asking for money before the groom’s side is allowed to proceed to the next stage. Following that easy stage, you might want to build up the level of difficulty in the tasks demanded in the successive stages. The bride’s side could demand that the groom sing her favourite song. 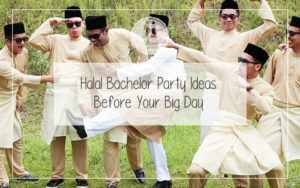 His best men or entourage could be made to dance or recite pantun (poetry). 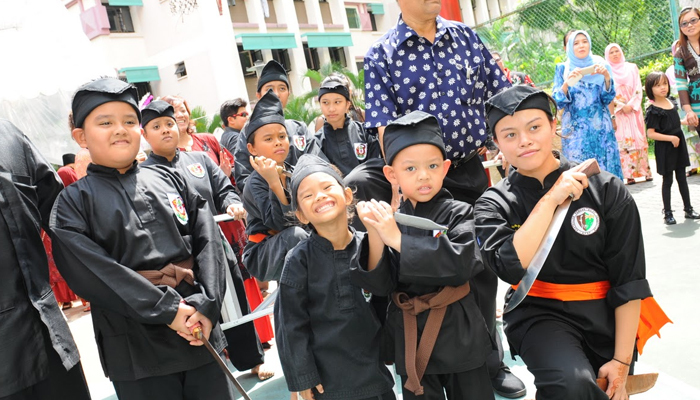 Silat, rapping and pole dancing are rare tasks that some might not hesitate to include. 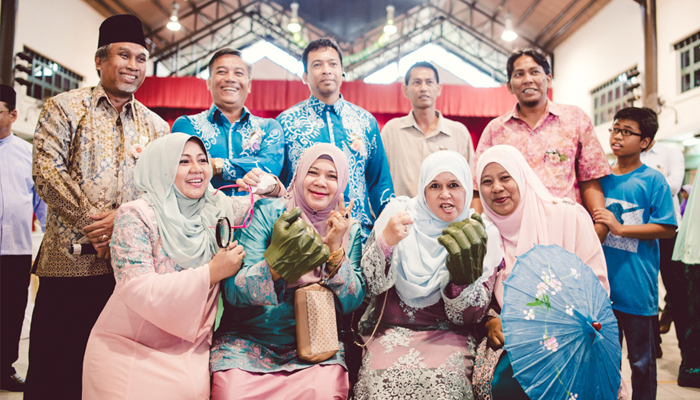 No one could stop you from including tasks such as silat, particularly if there are representatives from the groom’s side who can perform it. The last stage would be the approval from the Mak Andam. Usually no task is involved in this stage except to hand her the ‘duit kipas’. 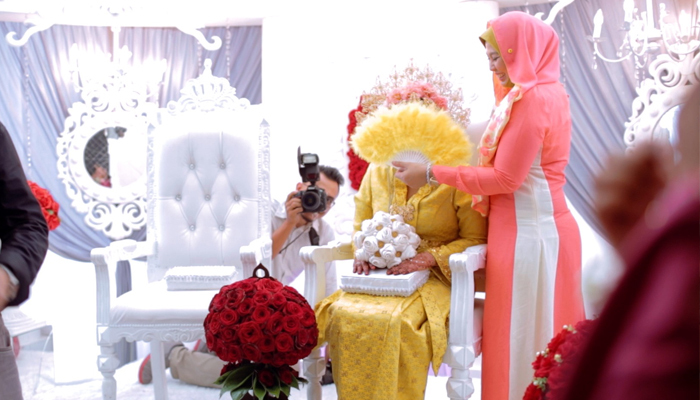 This is a sum that is usually agreed upon between the couple and the Mak Andam prior to the wedding. The bride might want to keep the hadang tasks a secret to the groom, but in order not to stir up any misunderstanding, she can let him in on some of the tasks organised. After all, money needs to be set aside by the groom to open up the ‘gates’. The bride surely would not want the groom to be shocked by the amount that he needs to fork out. No one wants a situation where the groom and his entourage come unprepared and embarrassed by lack of funds. Include tasks which do not pose danger to anyone and can be reasonably achieved by the groom’s side. For instance, you don’t want to include pole dancing and demand that the groom or his entourage perform it, knowing that someone in the group has a bad back! The number of hadang obstacles or ‘gates’ should commensurate with the venue of your reception. If the wedding event is held in a hotel, for instance, you probably need to tone down the hadang tasks because hotels generally have more stringent rules to abide by. The situation might be different if you hold the reception at the void deck, community centres or multi-purpose halls. You might get more leeway in the way the hadang is organised. 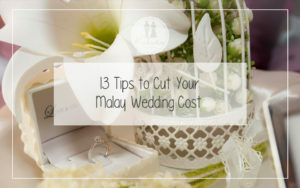 Lastly, hadang practice in a Malay wedding can be made into a fun and entertaining affair. So organize it in such a way that the groom and his entourage need not break a sweat to perform them!